A path is a record of an event, or the duration of that event. A map then becomes a tool to coordinate an event to create a path. 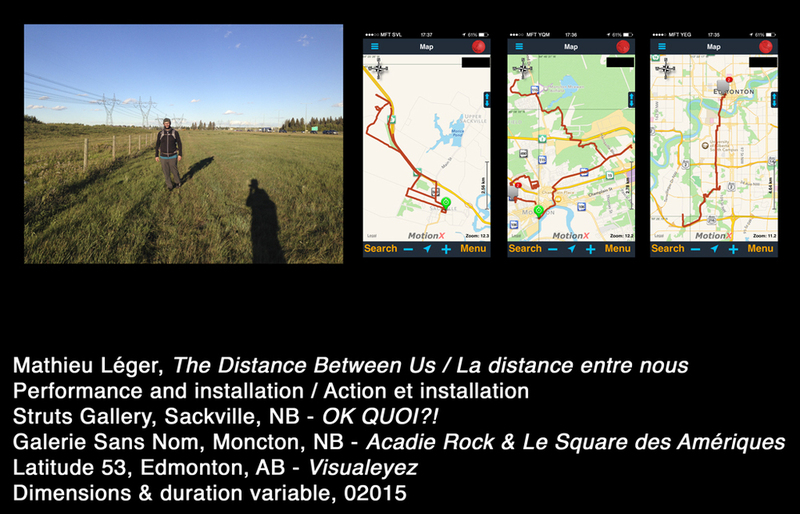 In the project, The Distance Between Us, the artist uses a map of the city as a mechanism to determine locations that will culminate into a series of paths between places. These locations are only tied together through a hole made by piercing the folded map. Through this action, the artist conceptually links these places in space. The only thing left to do is walk to the locations and talk. Conversations happen around spatial awareness, location, traveling, distance, physicality, and what it means to be in a place within the context of art. This all lies within the record of the path and the systems that come from circulating through this world. We build meaning through art and meaningful things come from exploring.